As someone who’s used to receiving beauty products on the regular (I know, pretty spoiled yes), here’s one first world problem I have to deal with: too many products, too little time. And it’s not just me — the common refrain among my industry peers is this, “I only have one face!”. In other words, we can’t possibly try every beauty product out there. Your media friends might be too nice to humble brag, but it’s true. Another thing that rings true for all beauty writers and editors? We have commitment issues. Of course, for skincare, you should really stick to what works for you (and occasionally tailor that depending on your skin needs) — but see, we often put our faces on the line and try as many items as we can, so we can write about that next cult skincare miracle, or that hot new makeup wonder child. We have to, it’s part of the job. 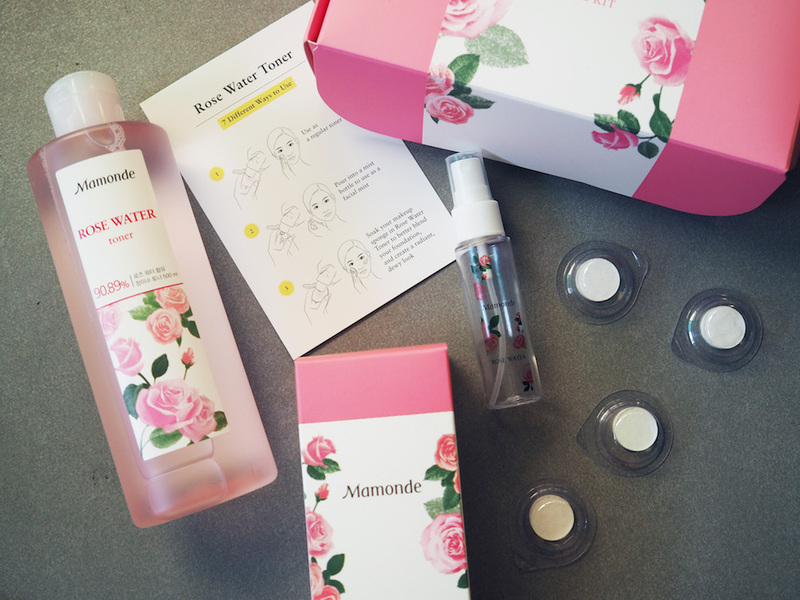 Point is, it was pretty hard to stick to just one brand for a month, but I’m glad it was Mamonde. 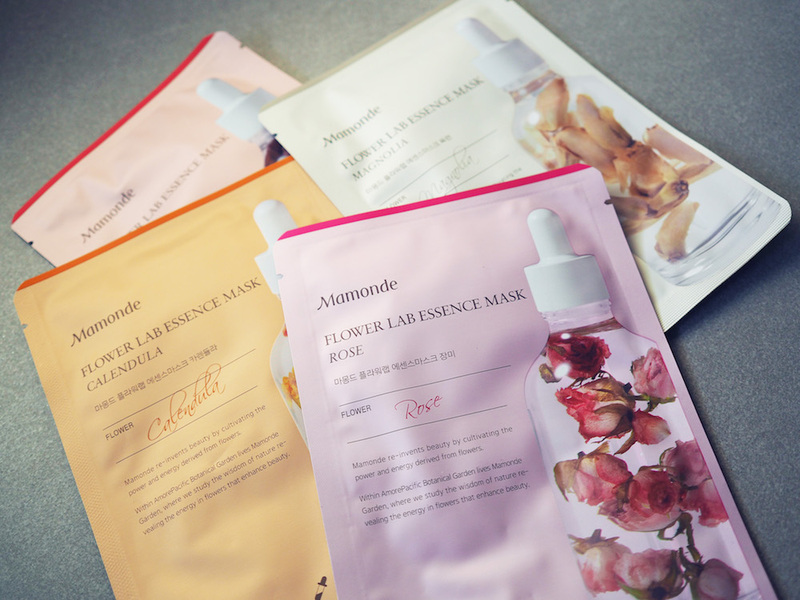 The popular k-beauty brand has made quite a name for itself since its arrival here just last year, for its effective skincare formulas that are inspired by flowers. 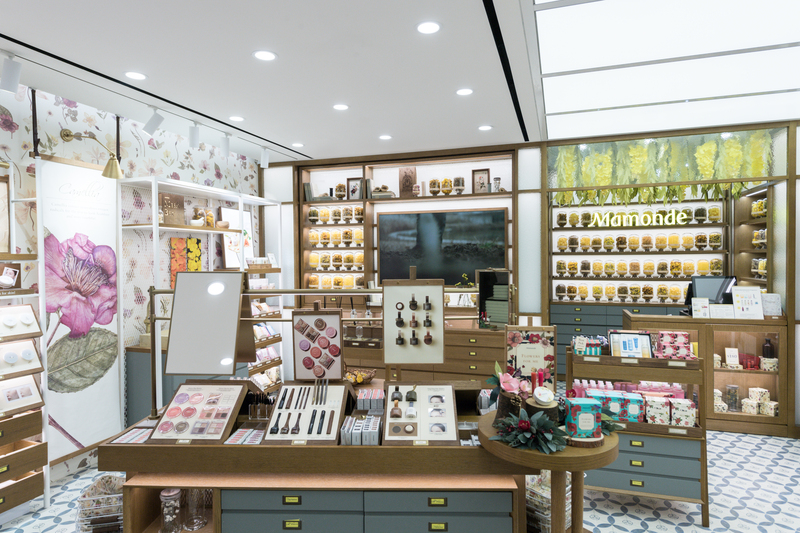 In fact, they’ve got a whole garden of blooms in Osan, Seoul, where they cultivate and study the flowers, to see how they can be good for our skin. Each skincare line has a hero flower — for instance, the hibiscus, prided for its moisturising benefits, is present in the Moisture Ceramide line that helps strengthen our skin’s natural barrier. 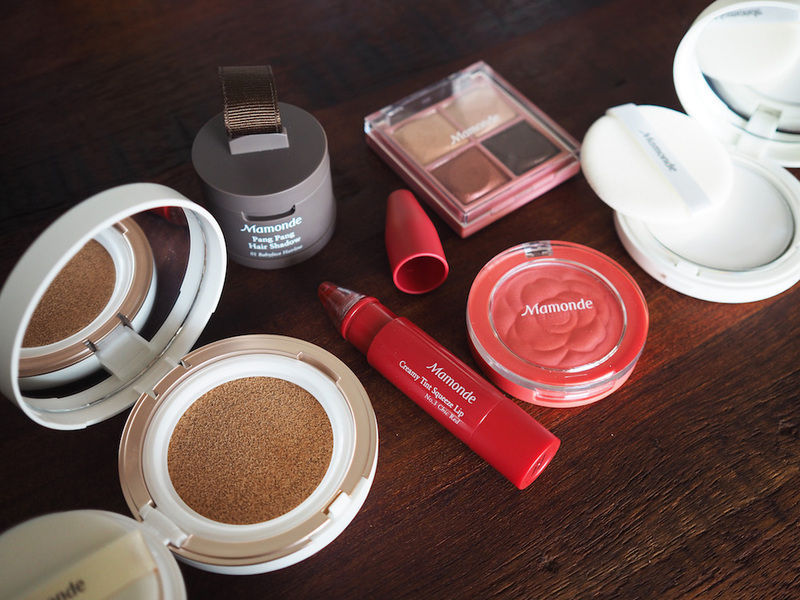 Of course, there’s also an entire makeup range to shout about, everything from cushion compacts to lipsticks! What I do like is how affordable everything is. 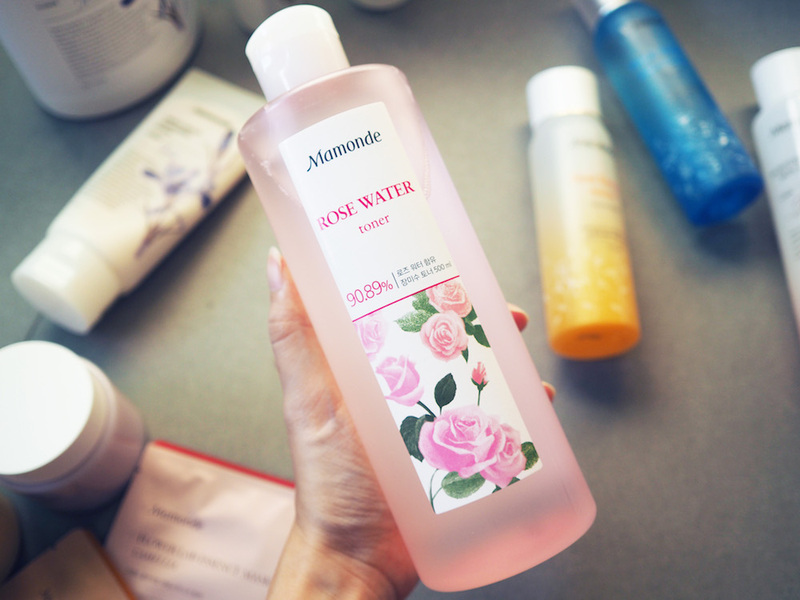 Even the jumbo-sized version of the Rose Water Toner costs less than $50. 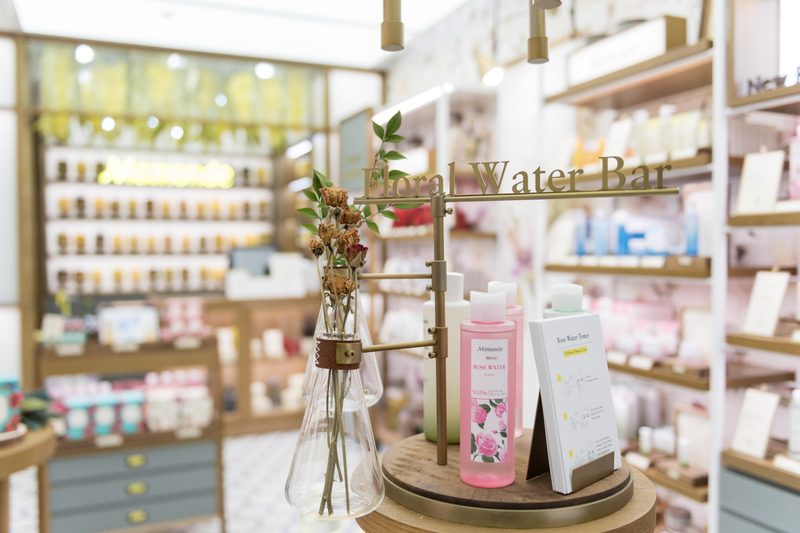 In the store, you’ll find that everything is arranged by skincare needs, rather than a recommended regime, so there’s more freedom to choose a customised series of products that’s perfect for you. As part of this one-month trial, Senior Beauty Trainer Arica Sen was the expert doing the choosing, based on what my skin might need and my lifestyle habits. 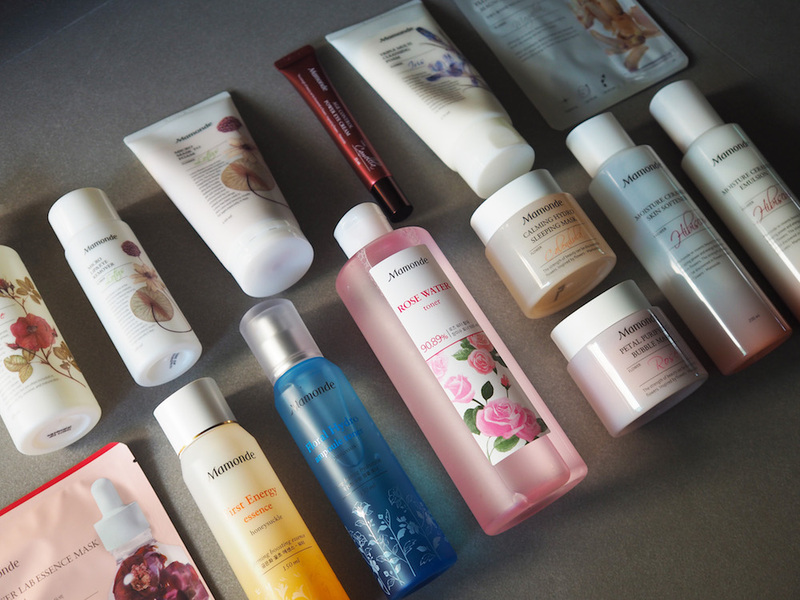 As much as I was into beauty, I wasn’t a total convert of the 10-step k-beauty skincare regime — realistically, I doubt I was gonna put in that time. But I was going to try! Take my night routine, for instance: a makeup remover, cleanser, essence, two toners, softener, sheet mask, emulsion / sleeping mask, and eye cream. That’s a lot. I try to do this pretty quick — 15 minutes, tops (minus the sheet mask time because that’s more relaxing than anything). After every round of skincare, I was really pleased at how soft and smooth my skin felt. After a month, I have to say, my skin felt more healthy and balanced. It wasn’t a 180-degree change as I believe my skin condition was okay to begin with, though I do have freckles, a normal-to-dry complexion, and I wished my skin looked brighter. Now, my skin has an innate glow, like it’s alive rather than the dull-looking complexion of before, and it’s definitely more hydrated and firmer too. Blemishes occur less frequently and my pores aren’t as noticeable. What I did also enjoy was being able to mix and match across the ranges, according to what my skin needs. The First Energy Essence, with honeysuckle flower extract, is all for bright and firm skin; at the same time, I know my skin’s kept hydrated and soothed by the rose elements (Petal Spa Oil To Foam, Rose Water Toner), while the calendula in the gel-type Calming Hydro Sleeping Mask further helps calm my skin and nourish it overnight. Then, the rich but lightweight formula of the hibiscus-based products, particularly the Moisture Ceramide Softener and Emulsion, help with fortifying my skin barrier. I was getting all-round help here! From my list, you’ll notice a couple of cleansers, but this has to be my favourite one. Firstly, it’s 3-in-1; it removes makeup, sun cream and dead skin cells in one step, so I won’t have to double cleanse! Good for lazy days. The formula lathers into a nice, firm foam that still feels gentle on the face, while it’s also slightly textured for mild exfoliation. My skin always feels thoroughly cleansed after, and refreshed, without that tight, dehydrated feeling. And at just $16, it’s well worth your money! We’re talked about this before, mainly due to the popularity of the bubble mask trend, but its merits deserve repetition. Use it in the mornings after cleansing to really take advantage of the difference it makes — the 1-minute mask goes on like a clay mask, before immediately foaming up into tiny bubbles that help purify the skin. These lift impurities, and once you rinse the airy layer off, what you’re left with is a smooth canvas that’s clear and radiant. It’s also formulated with rose petals, so you know it won’t dry out the skin. 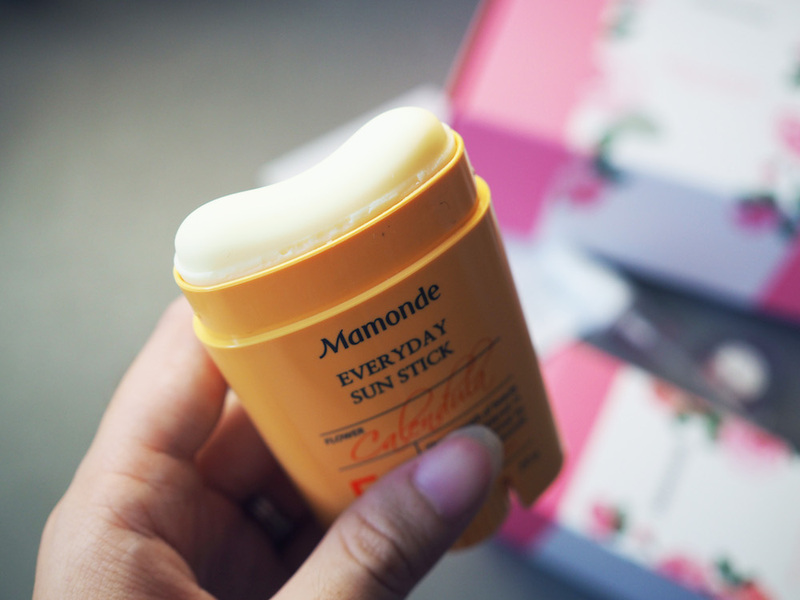 There’s a reason why this is such a cult product for Mamonde. It’s lightweight and you won’t even feel it on your skin, but it’s effective because you can literally feel how hydrated, nourished, and incredibly soft your skin feels after. The toner’s made with over 90 per cent rose water from the renowned Bulgarian Damask Roses — quality stuff, and great for everyday use, especially when you need to calm your skin down, say, after a hot day out in the sun. It’s also highly versatile since there are at least 7 different ways to use it beyond a regular toner; you can bottle it into a face mist over makeup and to save your tresses, soak cotton sheets for a D-I-Y sheet mask, or combine it with an oil cleaner to up its moisturising benefits. 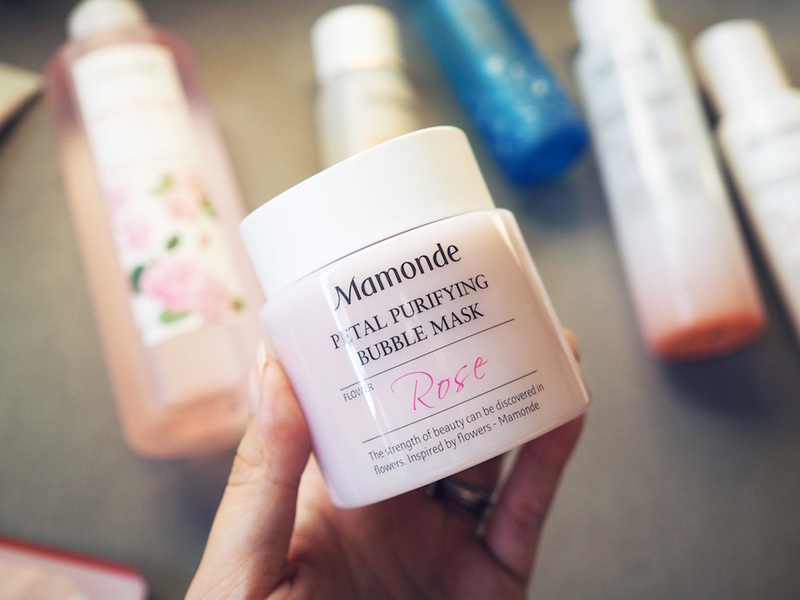 Objectively, there are a lot of good rose-based toners from good brands out there, but this one manages to be great, credible, and affordable. 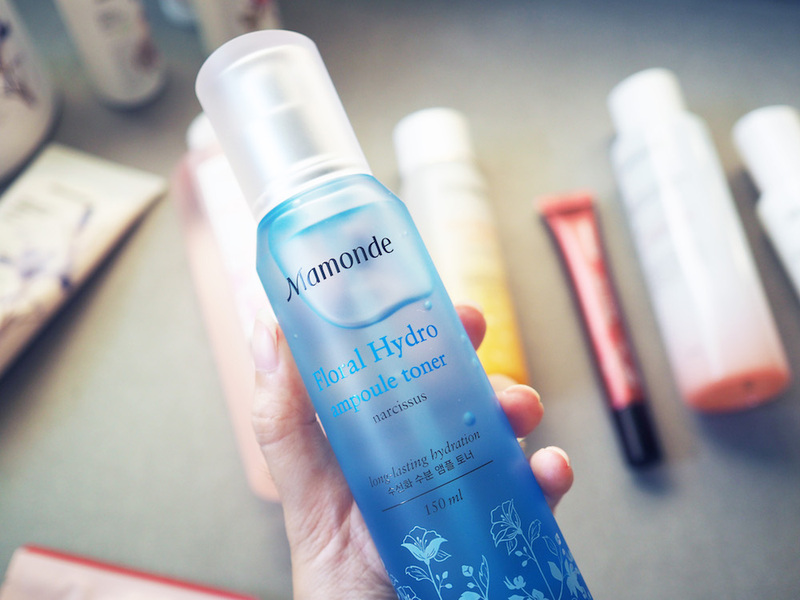 When I tried this at the store, I was surprised at how fast the toner disappeared into my skin! It’s not so much a watery toner as you’d expect; the texture’s richer and firmer, but instantly melts upon contact with the skin, and fills up dry skin with moisture — this is because it’s infused with narcissus and micro-particles of hyaluronic acid that penetrate deep into the skin layers. Basically, you get the intensely hydrating benefits of an ampoule, with the quick absorption you’d expect from a toner. Naturally, my skin was soaking up all the goodness! 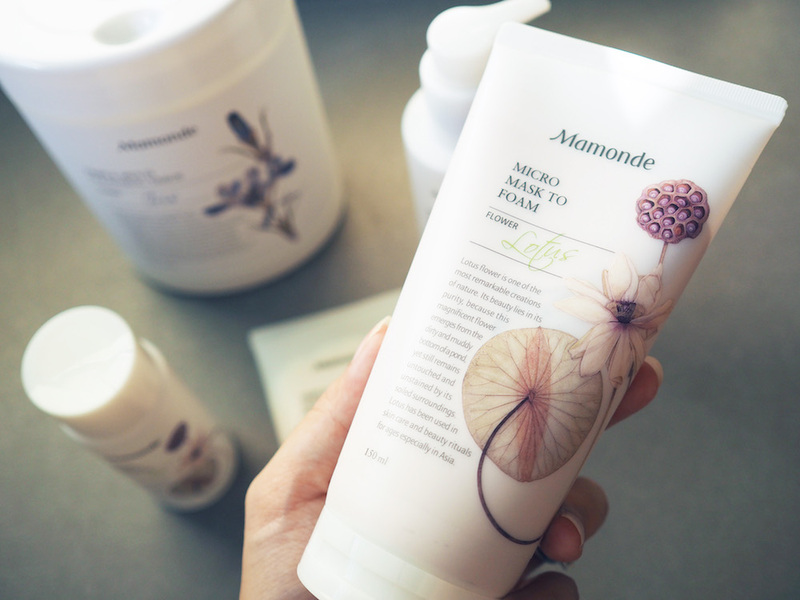 The first product I ever tried — and loved — from Mamonde was their Skin Fit Mask. That was $6 apiece, mind you, so I saved them for special occasions since I love the bio cellulose technology; that adheres onto my face so I know my skin was absorbing the best stuff. Unfortunately, it also means I can’t go back to the old cotton sheet masks, where I feel a lot of the essence gets wasted and the texture’s rougher than I’d like. Enter this alternative. The masks use a “Light Fit Cell” technology, that’s a cellulose sheet extracted from Eucalyptus tree pulp, which makes it soft, translucent and able to adhere closely to the skin. This means, whether it’s a jelly texture, serum-type or an emulsion-like essence, the skin can retain the moisture and benefits of the flower extracts for longer. And I did feel that too! These three textures are available, depending on the type of mask you choose — the calendula, for instance, is a soothing jelly-type mask, chosen so you’ll feel more refreshing after. Not your run-of-the-mill skincare items, and why they’re special. This seems like a typical clay mask, until I tried it for myself. I only use this deep-cleansing mask once a week, or when my skin feels particularly grimy, and it always makes me feel better after! The innovative part’s really when you leave the mask on for a couple of minutes, and then rinse; at this stage, the natural pink clay turns into a dense foam that thoroughly clears out any dead skin cells or impurities in my pores. That this includes lotus gemmule extract and lotus root powder feels good too due to how they purify the skin, while there are also ingredients that control excessive sebum. If you have more oily skin, this can balance it out. I’ve never thought about eye creams… till I was past 25. And even then, I barely bothered until I noticed how tired I look sometimes, staring in the computer screen all day. The sensitive area around the eyes needs some sensitive care, though in the form of a powerful anti-ageing cream — what I do like is that the texture of this camellia-infused formula isn’t sticky and cloying, yet instantly firms the thin skin around my eyes so wrinkles will be kept at bay, at least for a while longer. The cool part? It’s dispensed from this metal applicator that acts like a massage tool you can gently smooth over your skin to improve circulation, with a slight cooling effect too. 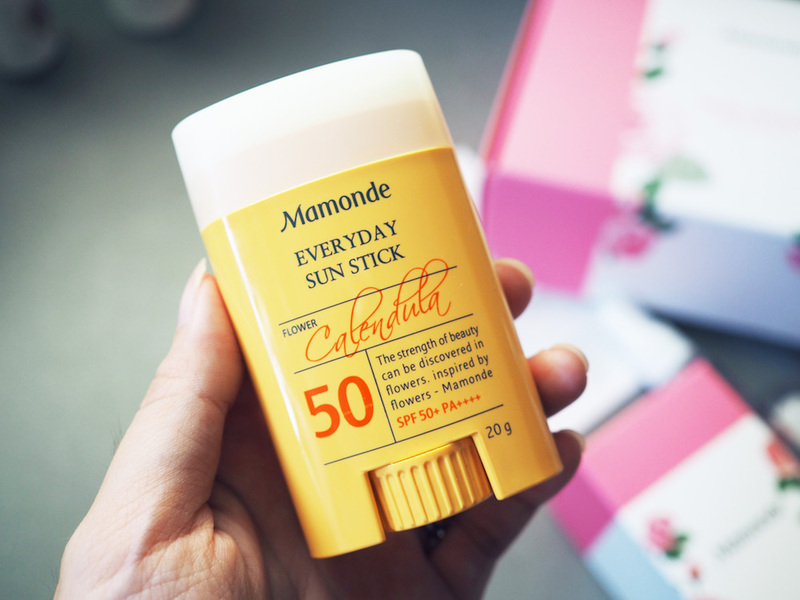 No one should be lazy with sunscreen — but if you are, here’s something that helps! 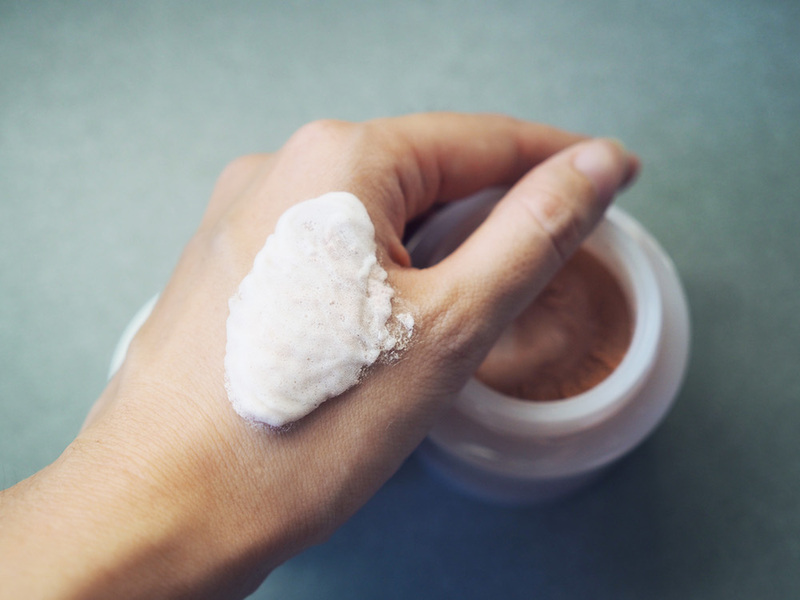 You don’t have to dispense anything onto your palm, or get your hands messy with cream; instead, pop the cap open and apply the balm to the key areas of your face. The stick’s shaped in a way that it applies evenly onto curves, both broad areas and the narrow areas around your nose. Just know that it blocks both UVA and UVB rays, treats skin with a calendula complex, while you won’t have to grapple with stickiness or a strange white cast as it goes on matte and invisible! 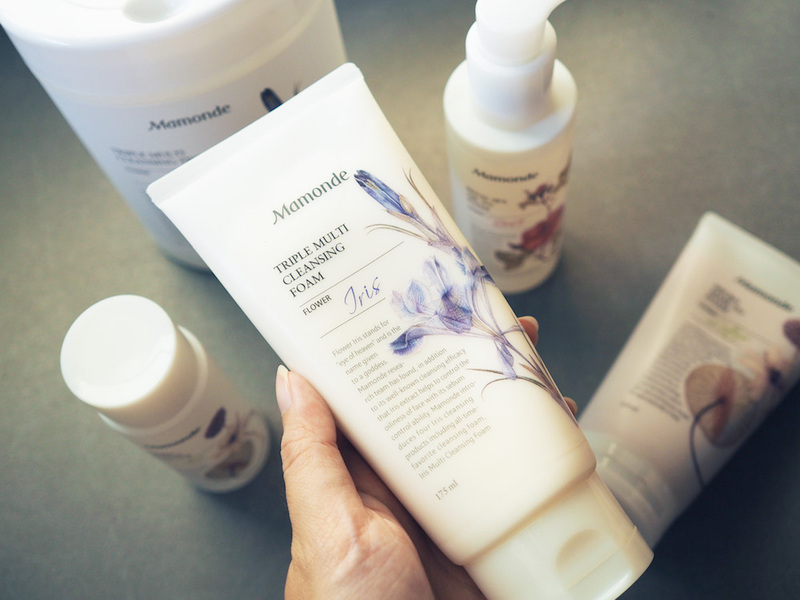 Everyone knows Mamonde for their skincare, though if visit any of their counters, you’ll find a large range of makeup too. 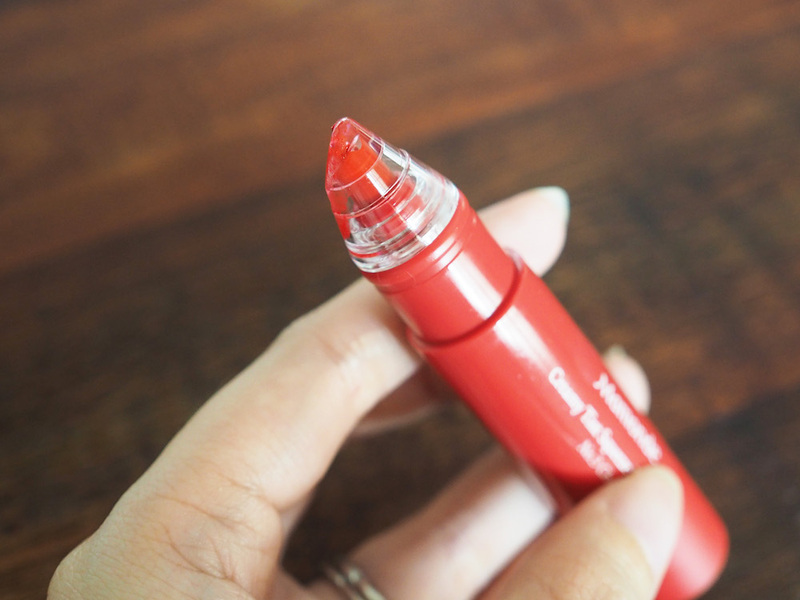 These are always trendy, as they’re always pushing the next innovative k-beauty trend, though I’ll say, still maintaining a look that’s distinct to Asian makeup: natural, soft, with the bright bold lip. Which is how I ended up with something like this! 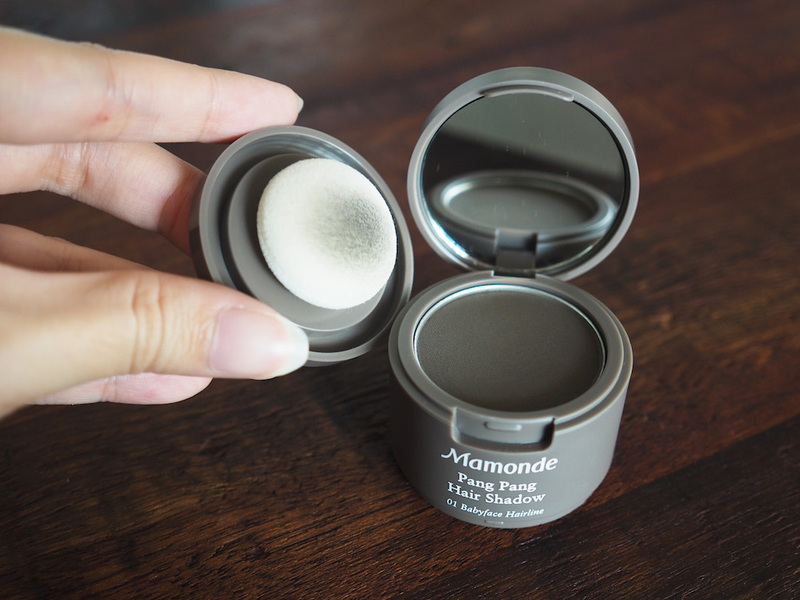 We’ve already covered the Mamonde foundation cushions earlier, and certainly were impressed with their high-coverage, brightening functions. I also liked the Flower Pop Eye Brick for its perfect mix of colours — each of the eyeshadow palettes come in 4-shade combinations, with, as expected, colours along the lines of champagne, gold, or bronze. Shades that look flattering for anyone! 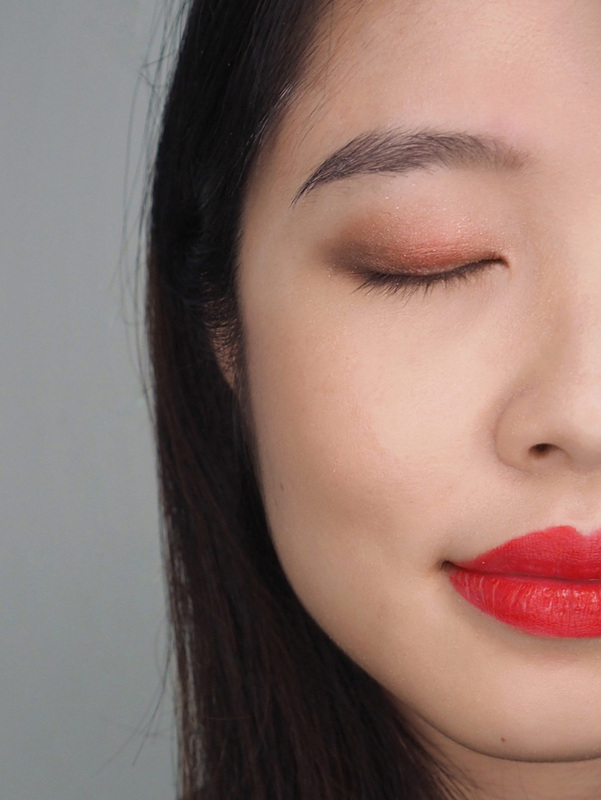 You could pick a neutral-toned one, or the burgundy one that I did; either way, it goes on soft and blendable, and the tiny shimmer pigments stay on for most of the day. 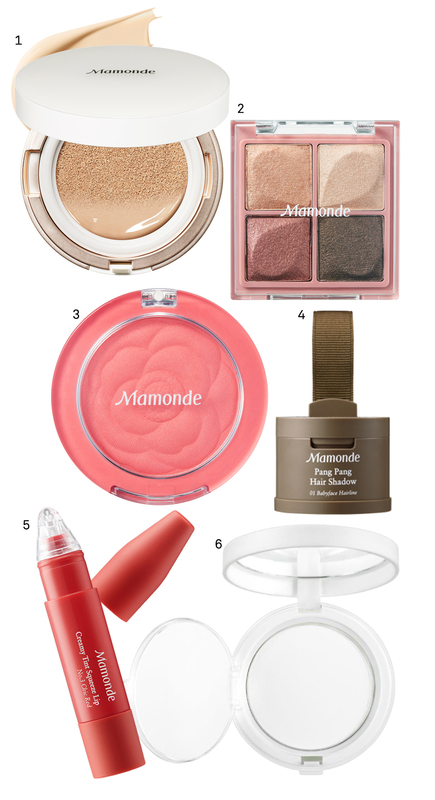 Plus, the pretty makeup packaging is a nice homage to their flower-inspired roots — just look at the rose imprint on the blush! That high-impact colour. What more can I say? Oh, okay, I found the applicator a little foreign at first since you’re supposed to squeeze the tube to dispense the product, but after that first try, I realise that it’s a nifty way to control the colour. 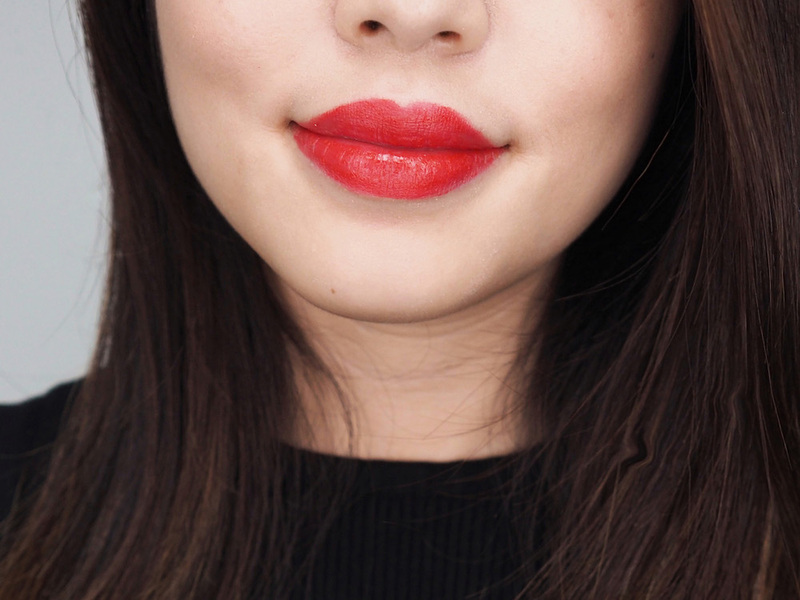 I do prefer a strong hit of colour, as opposed to petal-soft gradient lips, and this does both. The colour also stays on, and fades into a softer red tint so I won’t feel embarrassed if I skip the touch-ups. Now, I’m not normally a fan of setting powders because it adds an extra step to my makeup regime, but I’d gladly carry this around! A part of it has to do with the packaging — I won’t need to stash a whole other brush with me, because this comes with a fluffy puff, and it makes a whole lot of difference when I touch up. 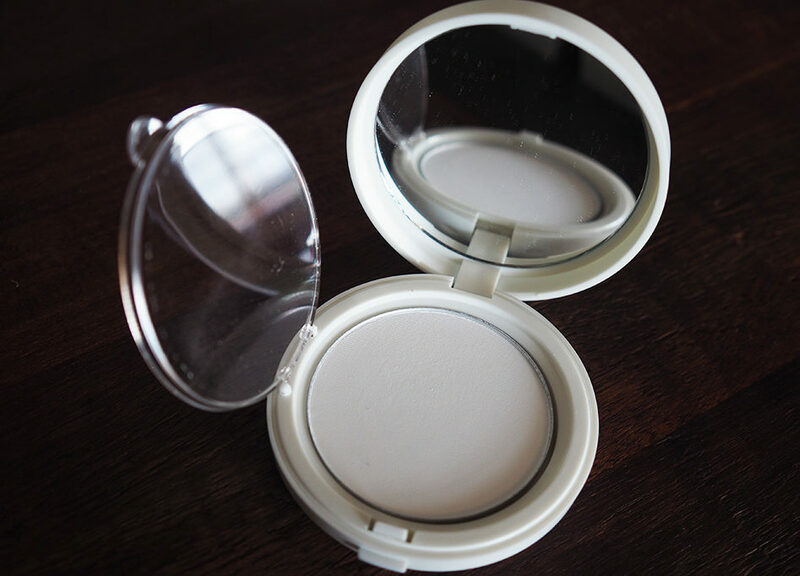 The soft powder mattifies my t-zone (where I like to apply it) so my makeup looks fresh, and it’s transparent plus finely-milled enough to give that illusion of smooth skin. None of the mess of loose powders too. Of course, you’ve got to realise there are multiple uses to this too. 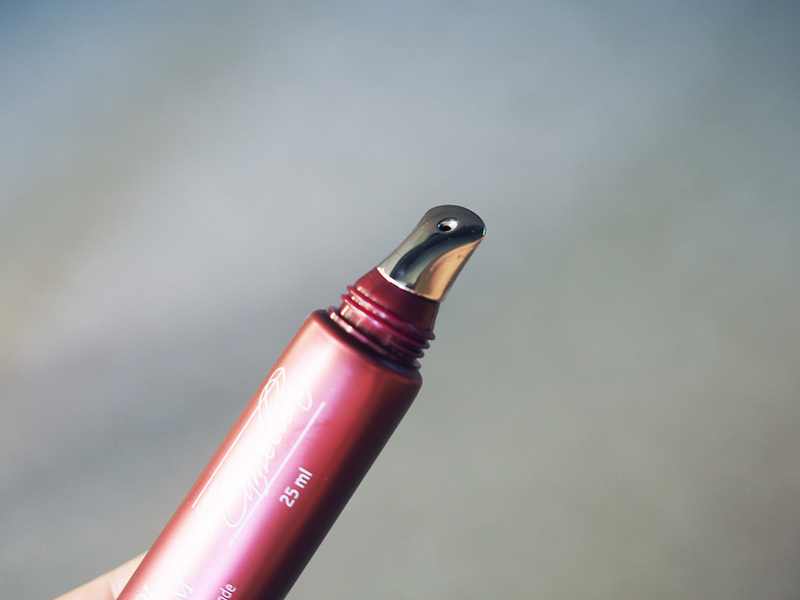 You can lightly tap it around your eyes, or anywhere you need your makeup to be set; you can apply it to your lips before lipstick to enhance its colour; and my favourite bit, on your hair and fringe as kind of a dry shampoo so it’d look fluffy and lifted! Undisputedly, the weirdest product of the bunch right? So here’s the story: Koreans like small faces, so this unexpected product became all the rage because they could lightly tap it into their hairlines, hiding any gaps or unevenness so that the face appears slimmer and more youthful. I know, that’s a lot of effort. I do realise it helps though, and this product is great because they’ve perfected the texture so it goes on natural and even, without you having to worry about whether you’re applying too much because it’s that easy to blend it out. It comes with a mirror and a puff neatly stashed into the base. Very convenient.